IIM Nagpur has successfully completed the summer placements’ process for the fourth batch of its flagship Post Graduate Programme in Management. With the batch intake doubled to above 110 students this year, IIM Nagpur once again achieved 100% placement by the second week of January 2019. The highest stipend offered this year wasRs. 2.50 Lakh. The average stipend offered was Rs. 54,751. The average and the median stipend for the top quartile were Rs. 1.13 Lakh and Rs. 1.10 Lakh respectively. This year, more than forty recruiters across various sectors like FMCG, Consumer Durables, Oil & Gas, E-Commerce, FinTech, Aerospace & Aviation, Consulting, BFSI, Logistics, Media & Broadcasting and Real Estate participated in the process. This year also witnessed participation from many first time recruiters making double digit offers to the students. Several organizations have recruited the students for their premier internship program. “This was the first time we were visiting IIM Nagpur and were really impressed by the quality and exuberance of the students. 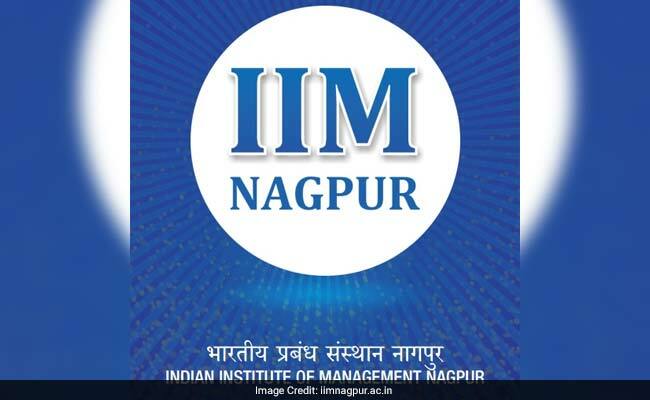 I am sure IIM Nagpur would be among the top tier institute shortly,” said John Mathew Sebastian, Manager HR (Talent Acquisition), V-Guard Industries Ltd. The list of prominent recruiters includes OLX, Berger Paints, V-Guard, Century Real Estate Holdings, Mapro, Amul, Yes Bank, HPCL, BPCL, SIDBI, Pladis Global, Tata Aerospace & Defence Ltd, Blue Star, Sutherland Global, Value Labs and Jio Studios. V-Guard, OLX, Early Salary, Mapro made the highest number of offers for the batch. FMCG and Consumer Goods emerged as the most sought-after sector followed by Fintech and E-Commerce with more than forty percent of the batch opting for summer internship in these industries. The current year also had participation from the IT and Government Sector with more than 17% of the batch opting for profiles in these sectors. Marketing and Operations were the most sought-after profiles by the students. Apart from these, several roles were also offered in Strategy, Finance, and Analytics. The institute has introduced entrepreneurship specialization in their post graduate programme and as a part of this initiative, the institute is supporting one of our students to work with a startup in lieu of summer internship. “The completion of summer internship process this early is a clear vindication of the recruiters’ judgement of the quality of our institute. We are grateful to them. We are confident in our pursuit of staying relevant to the industry, and seek the continued support of industry,” said Prof LS Murty, Director, IIM Nagpur.